Farrell McGovern P.O. BOX 11431, Station “H”, Nepean, Ont., Canada. If you would like to contribute to TOEHN (but only the electronic version) drop me a line, or if you feel that your long distance phone bill is not big enough, then you can call my board (Data/SFnet) at (613) 726-1100 after 9 pm till mailtime. Don't Yell for me, since it is an office and I am not there after 8 pm! I guess I should introduce myself, I am Farrell James McGovern. I work with computers, and thus consider myself a techno-Pagan. I have an interest things Celtic, and quantum physics. I am an Erisian Priest and thus have no authority over anyone. I despise any type of totalitarian structure be it government, job, or rigidly stratified priesthood of any religion. That was a non-prophet, postage paid, political statement. One of the two major interests is music. I am fairly musically oriented, in that I play most types of guitar (except for bass), I fiddle with synthesizers (I own a couple including a Sampling Synth), I intend to learn harp, lute, drums and virtually anything musical that catches my eyes. Groups/Artists I like: FM (w/ & wo/ Nash the Slash), Nash the Slash, Rush, Pink Floyd, Berlin, Heart, Walter/Wendy Carlos, Queen, Tangerine Dream, Tomita, The Monkees, Jethro Tull, Vangelis, Manfred Mann's Earth Band, The Alan Parsons Project, Styx, Supertramp, Spoons, Klaatu, Martha and the Muffins/M+M, Peter Gabriel, and Kate Bush. Have you ever noticed how the last two artists always seem to be mentioned in the same breath? The other of my two major interests is Science Fiction/Fantasy. I have been attending SF cons for about 8 years now,hitting mainly East Coast cons, predominantly in New York City area, and Boston. I have been reading the stuff since I was about 5 years old. Started out on a book of SF stories that was part of a leather bound hardcover series of children's books. There was a Bolo Story by Keith Laumer, and that is about all that I remember from that book. I had a hard time going through school, since I was very intelligent (in the top five percentile or some othernonsensee like that) (and yes, I have still intelligent contrary to popular belief). They labeled me “hyper-active” and put me on rittelyn (I don't know the correct spelling for it) which acted as a downer. So I spend most of my grade school depressed, a habit that I have almost gotten rid of…anyways, back to SF. The first author that I became aware of was Arthur C. Clarke. You see, I was very young when I saw 2001: A Space Odyssey, and it had a heavy impact on my mind. Since then I have read just about every ACC book that I can get my hands on. Fav Authors: ACC, Harlan Ellison (he is shorter than I am! ), Issac Asimov, David Gerrold, Vernor Vinge (not to be confused with Joan Vinge, author of the Snow Queen, who I have met and had many conversations with, and is a terrific person, but whose books I cannot stand! ), Marion Zimmer Bradley, Patricia Kenneley, Rudy Rucker, Robert Anton Wilson, and about a dozen more. And now, for you entertainment and enjoyment, the story of how I became a Pagan. I guess it all started at a con I attended in New York City. It was a STrek con of all things, and there I met a girl, her name is Heidi Heyman, a person with whom I share 4 common interests, Science Fiction, Star Trek, Harlan Ellison, and Supertramp. We fell in love over the phone and though letters. The next year I asked what she wanted for Christmas, and she told me that she was Jewish. This caused me to rethink my whole universe. I had never investigated religion before, and I started to do so in earnest. About this same time I discovered that there was one area in Physics that I was not very knowledgeable, and that was the area of quantum physics. So I went to the library and looked up quantum physics. I read stuff like The Dancing Lu Wi Masters, and such, then in the Science Fiction section I found a trilogy called Schrodinger's Cat, by Robert Anton Wilson. Then in the religion section I came across a copy of Drawing the Moon. In it I found that Erisians/Discordians really existed! And that was when I became a Pagan and a Discordian. Like the Bards of my Celtic ancestors, I constantly seek truth in all that I do and see, but I have seen some hypocrisy in Paganism, and specifically in some Craft people that drives me right around the bend almost to the point of acquiring a H2O Uzi. from the Code of Ethics of the Covenant of the Goddess, quoted in Drawing Down the Moon rev 2., Chap. 5. But there are people, ones who say they follow the above rule, who smoke! Not only that, but they insist do doing it when there are other people in the room! Talk about a lack of Celtic hospitality or what! It has been proven beyond a shadow of a doubt that second hand smoke is a health risk to non-smokers, and a it certaintly that it harms the person who smokes. Either I have grossly mis-interpreted the meaning and spirit of that law, or there are a number of hypocrites in the Craft. To them I ask, do you live your religion, or do you simply adopt the parts that you like and skirt the responiblities? I do not intend this as an insult to the people I am talking about, but I think it weakens the fabric of what we are trying to create; a better world for our children, in harmony with the Mother Earth. That is what I see is the goal of Paganism in all of it's forms, either that, or I have mistaken what this whole thing is about. In March I attended Lunacon, the New York City regional SF con, and had a terrific time. A pleasant contrast to Boskone a month prior. As with any con there are always hordes of new books, ones that won't hit the stands for another few weeks, and it was here that I acquired a copy of the second editon of Drawing Down the Moon. This is a book I know well, having given away one copy, and worn out another through successive lendings and readings. But because of it's nature, it was becoming very out dated, and archaic. So it has been updated. The first thing that one notices is the size of the book. It has been reprinted in standard trade paperback size (it fits nicely beside your trade copy of The Mists of Avalon), and with the additions, is nearly as large as the previously mentioned book. The next thing that one notices is the cover, a beautiful photo of a priestess standing in the center of a circle of candles on a beach. She is faced seaward with her arms upraised in that classic half moon crescent. It appears to be dawn or dusk, and the photo has been taken with a long exposure time, causing the candles to be over-exposed, but giving a vividness to the picture that might have otherwise been lost. The lettering is also well done. I mean, tanj this cover LOOKS good! This cannot but help to attract people to the book, to either inform or re-awaken them to something that they have either lost of forgotten, or are seeking. 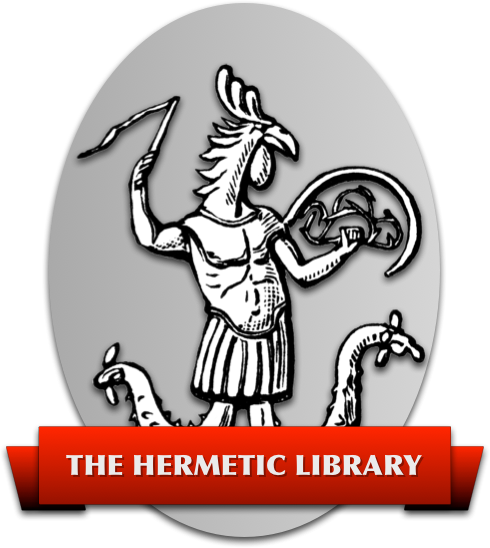 On the inside there have been some changes, but in the spirit of preserving history, most of the book has not been changed, but many additions have been made to reflect the current trends in the Pagan movement of today. It would be a waste of space to attempt to review DDtM, since I hope that most of you have read the book, if you haven't, run, don't walk,to the Wiccan Rede (we need to support members of our community! ), and if they don't have it, trundle down to Sunnyside Books (which is not on Sunnyside, herein lies a great Erisian Mysteree) and pick up a copy. Then you can see what I (and practically every one else who has read the book) has been saying about the book. There is now a section on Norse Paganism (have you noticed the number of Thor's Hammers around peoples necks lately?) and the various controversies arising around it. The Norse flavour of paganism tends to attract the more conservative element of the people who get involved with paganism (if that is true, then I would not like to meet an Odinist from this area, they would probably try to shoot me for being a long haired hippy type freak HHO1/2K), and the problems with their image and the influx of undesirables, mainly people who are into Nazism, & the presevation of the Great White Way (ie. KKK types). Perhaps the greatest gems in this revsion are two of the three appendices. The first is based on a 1985 questionnaire that was handed out at some pagan gatherings and was published in a newsletter, Panegyria. One hundread and ninety five were handed in. Without going into the results, something that could take a who contrib, I will note that the largest percentage of the respondants were computer people. Now whether this is an indication that computer people like to fill out forms, or that there is something more it than that will be dealt with in a later piece about techno-paganism. The next appendix is a listing of Pagan Rituals, a carryover form the previous edition. It is the final appenix that is the diamond of the trio. It is an excellent resource for Pagan newsletters, groups and Festivals. Wic-Can Fest, Margot describles it this way: “This has become “the” festival in Canada.” Nice endorsment, don't you think?